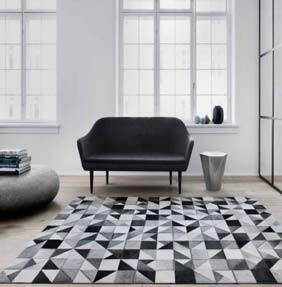 Every leather rug in our Linie design collection is designed and crafted by hand with great care and respect, only the finest quality hides with no imperfections are used in the production. A blend of modern Nordic design and traditional craftsmanship combine to give a feeling of luxury and exclusivity. All the designs in this range are made from 100% cow-hide, the suede backing benefits from the use of an anti-slip underlay. Bespoke, made to measure sizes are available in each design.